Includes everything that your Sylvanian children need for a day at school. 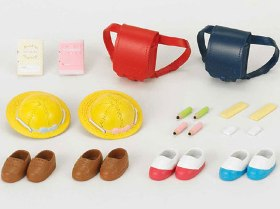 Set includes hats, school shoes, trainers, school bags, books and stationery. Enough items are included for two children.